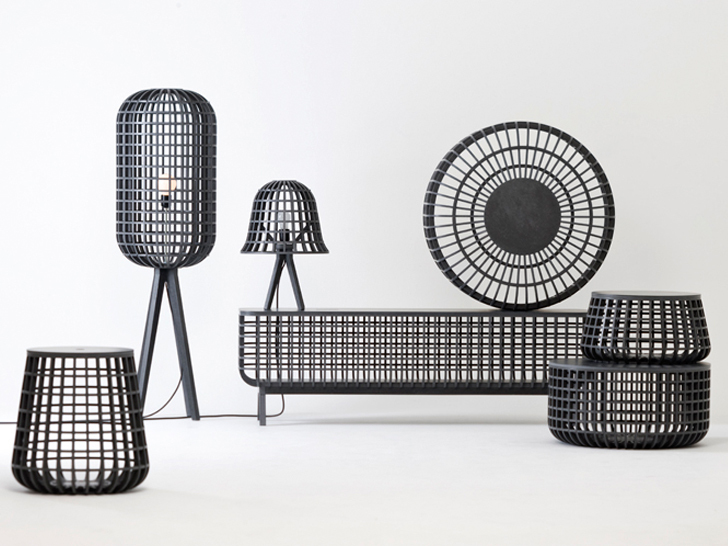 Inspired by traditional basket-woven forms, the Dami Collection, designed by Korea’s Seung-Yong Song, uses a CNC processing technique to create its striking shapes. The ‘Dami’ takes its name after the Korean verb meaning ‘to put in’, and the cool designs use a new, eco-friendly material called Valchromat to keep production sustainable. Valchromat is an organically-colored, wood fiber board. The wood is sourced from various sources, including forest waste, residue from timber mills, and recycled pine. The manufacturing process for this material is environmentally friendly and has zero carbon emissions. During manufacturing, organic dyes are added along with a specially-developed binding resin that ensures exceptional physical-mechanical characteristics as well as a natural appearance. Something very fresh in the world of furniture design, the Dami collection exhibits a fine balance between tradition and innovation. 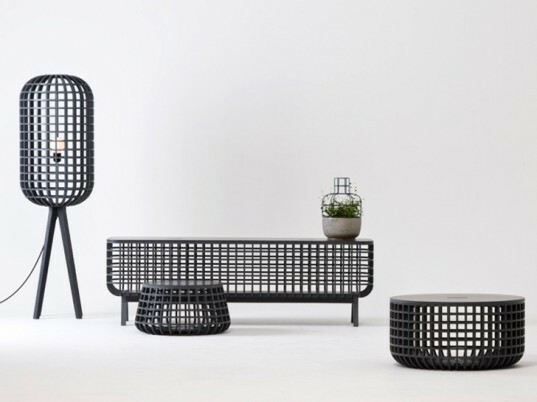 Inspired by traditional basket-woven forms, the Dami Collection, designed by Korea's Seung-Yong Song, uses a CNC processing technique to create its striking shapes. The 'Dami' takes its name after the Korean verb meaning ‘to put in’, and the cool designs use a new, eco-friendly material called Valchromat to keep production sustainable.